Liverpool. No matter where you are in the world, the word means something special to millions of individuals. Even those who have only heard of it will have a unique place in their hearts and minds for this City. Liverpool does nothing by halves. 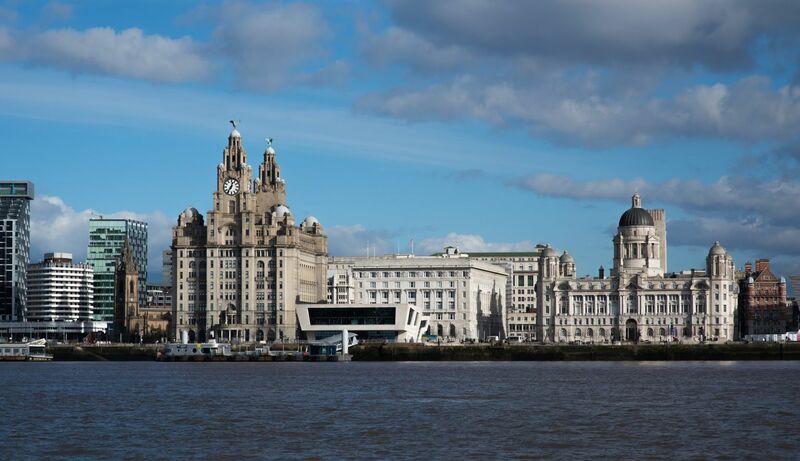 The City has two Premiership Football Teams – Liverpool FC and Everton FC; two world-class Cathedrals – the modernist Metropolitan and the Gothic Anglican (the largest in the UK); two major art galleries – Tate Liverpool and Walker Art Gallery; four important museums – Museum of Liverpool, Merseyside Maritime Museum, International Slavery Museum and World Museum; two famous theatres – the Everyman and the Playhouse; and three quality Universities – University of Liverpool, John Moore’s University and Liverpool Hope University. Given UNESCO World Heritage Site status in 2004, primarily for its stunning historical waterfront (including Albert Dock and thePier Head with its Three Graces), Liverpool’s architecture and place in history is recognised as being as important globally as the Great Wall of China and the Pyramids. European Capital of Culture in 2008, Liverpool has more museums and galleries than any UK city outside London and is cutting edge enough to have kept the biggest piece of Banksy’s graffiti art in Britain. Home town of The Beatles, the most famous band on earth, and officially the World Capital of Pop, this is a City which knows how to make itself heard! From the 10,600 seat Echo Arena to the world class Royal Liverpool Philharmonic Orchestra, Liverpool’s music scene continues to be one of the richest elements of its culture and central to its buzzing atmosphere. Liverpool knows how to enjoy itself and how to look good doing it! The creation of Liverpool ONE as the new shopping centre of the City, as well as the Metquarter, Cavern Walks, the St Johns Centre and Clayton Square, means every designer and high street name store can be found here, while those in search of a slightly alternative shopping experience are well catered for byBold Street, The Bluecoat and Quiggins AttiQue. All dressed up there are plenty of places to go! Every type of restaurant and bar is available in Liverpool, from fine dining to bistros and cafes, from wholesome British food to authentic Oriental cuisine, from cocktails to real ale, from wine bars to pubs, from comedy clubs to dance venues it has it all. Some places are internationally famous, such as Cream and The Cavern Club, many are local favourites, the Philharmonic Dining Rooms and Rigby’s, others guarantee a unique night out, The London Carriage Works, 60 Hope Street, Alma de Cuba or Panoramic Restaurant (34 floors up), to name just a few. This amazing history and positive focus on the future make Liverpool an incredible place to live. Move can help you find your own unique place in this ‘World in One City’.